Dear friends, I hope you’re all well! In less than two weeks’ time, MasterTheHandpan will be offering a new course in music theory, in collaboration with Laurent Sureau, music theory teacher of over 20 years in a music academy, and internationally renowned handpan player. 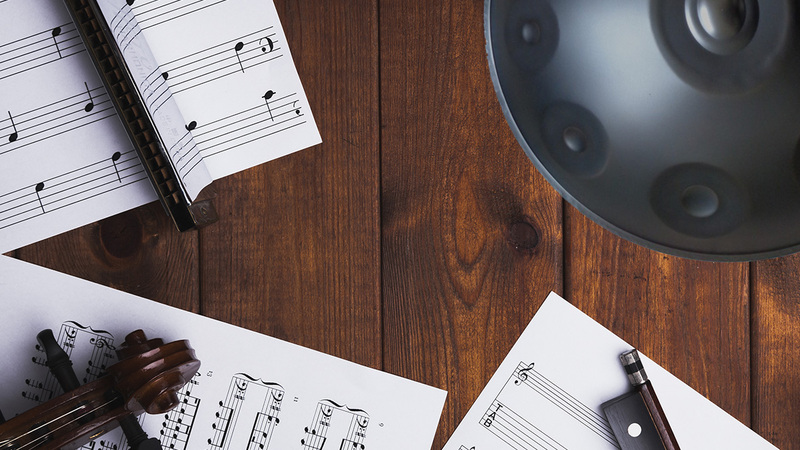 So, to coincide with the launch of this course, we wanted to write an article together about why learning music theory as a handpan player is a such a great idea. Happy reading! Music theory explains what we hear; it is the language of music. We are absolutely convinced that having a knowledge of the basics is key to really understanding your handpan, fully exploring its potential, and composing pieces of music. Music theory is the means by which you can better express yourself through your handpan. Perhaps you’ve had a bad experience of music theory in the past. Perhaps the only things that stick in your mind are Italian terms, maths and the stern face of your teacher as they tried to teach you Chopin, when all you really wanted to do was learn “Killing in the name” by Rage Against the Machine ;). For you, music theory is synonymous with constraint. It’s funny because two or three years ago very few players thought about music theory. Today, however, it’s clear to see on various Facebook groups that many people are interested in music theory and want to know more about it. Why this sudden interest in music theory? Firstly, due to the fact that it is becoming ‘easier’ to get hold of a handpan, many players are able to buy a second instrument. When they only had one, the need to understand music theory was less apparent. Now, players want to be able to combine scales, choose instruments with a full range of notes, etc. Laurent and I wanted to take this opportunity to present our list of reasons why we believe handpan players should learn music theory. Many people believe that music theory is superfluous, often seen as a set of strict rules that stifle our creativity and freedom of expression. Wrong! A musician who knows the ‘rules’ can apply them when they see fit, and as a result will be in full control and have much greater freedom with their instrument. They will be able to pick and choose the rules of music theory that suit them at the time. Having at least a basic knowledge will help players break away from what has been done before. It will help them come up with new ideas, different melodies, new chords and progressions, be able to combine different scales, etc. It’s always a good thing to be able to understand something that you play instinctively. This means it can be improved on and varied. Music theory cannot replace a good ear, but works alongside to complement it. To know the basics helps puts words to feelings and better understand your instrument and how to play it. Having a knowledge of the basics is also very useful if you want to play with other musicians. You can communicate and exchange more easily. Music is a language and it’s important to know how to use it and to develop a richer vocabulary. It will be easier to integrate into a group, to understand what everyone else is playing and be able to play with them. What’s the key? What’s the chord sequence? What is and isn’t possible? As well as saving time, a knowledge of music theory basics will help you communicate better with your fellow musicians and allow you to adapt to them. Whether you want to acquire a second instrument or to create another combo (a pair of instruments that go together), knowledge of the basics will help you decipher by yourself how make the right choice. You will effectively be better able to know what is missing, and what you need to obtain a particular scale. For example: Did you know that you can play in D Major with a handpan tuned to Dm and another in F#m, because the Dm will give you the A and the E? Or that with a handpan in C#m you can transform your Dm into a D harmonic minor by playing the C# instead of the C on your Dm Handpan? Etc. The basics of music theory mean that you can work out these combos and how to choose instruments. To sum up, my dear friends, believe us: learning the basics of music theory will help you take a leap forward in your all-round understanding and appreciation of music. Of course, it will be a real bonus for your handpan playing and your ability to compose music, but equally will equip you for playing with others or in a group. Finally, if you are interested in learning music theory, please sign up below to receive several free taster videos of our new course. You can then test out our method for yourself and discover that learning music theory can be fun. The course has been designed specifically for handpan players, so take up this opportunity to rediscover your handpan! Ready to try this adventure? You can test it for free, right here!